Escape to the Keys! 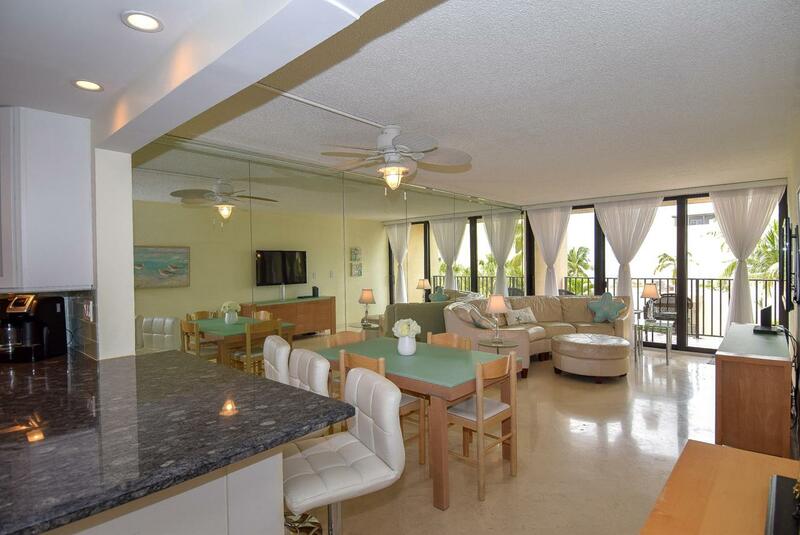 Absolutely beautiful water view, Moon Bay condo, has been completely renovated, with a modern coastal flair. Nightly sunsets over the bay are yours from the living area ,exterior balcony-porch & master bedroom! Allowable weekly rentals, Excellent rentals w/repeat customers! High end finishes, bask in this resort home with luxury features including, travertine marble floors , impact windows and doors, Jenn-Air kitchen appliances, all wood cabinetry w/ custom drawers, granite counter-tops, ''in the sea'' blue tiles & frame-less glass shower in the bath. Well appointed and furnished, nothing to do but enjoy! Moon Bay includes a marina with docks, large pool, saunas, tennis courts, kayak/SUP beach, BBQ areas, clubhouse & private gated entry. 1 hour to MiamiIn addition to the two fully appointed and spacious bedrooms, there is an inviting den that is currently set up as a home office and a guest room, with futon style bed. Moon Bay is situated on the bay, where you can enjoy nightly all enveloping sunsets from Moon Bay's private pier. Additionally, there are seasonal events on the water including the Fourth of July fireworks show, the Winter Boat Parade and the New Years Eve Extravaganza. It is also situated Just moments from the renowned Adam's Cut Waterway, your gateway to the Atlantic Ocean. It is the only passage to the ocean for 13 miles in either direction positioning Moon Bay in the "Golden Triangle" of boating in the Upper Keys. A quick commute from Miami International Airport and yet a tropical world away.